We’d love your help. 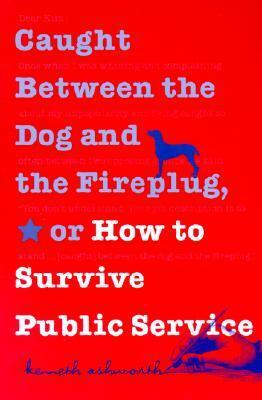 Let us know what’s wrong with this preview of Caught Between the Dog and the Fireplug, or How to Survive Public Service by Kenneth H. Ashworth. To ask other readers questions about Caught Between the Dog and the Fireplug, or How to Survive Public Service, please sign up. For all public servants that would like to make working in government their permanent career. It is a witty account of some major challenges of being a public servant and providing the best service to the community and avoiding being a “bureaucrat”. Bloated with self aggrandizement. Terrible book, except for seeing just what's wrong with our government. Highly, highly recommended for anyone who is studying for an MPA or wants a greater understanding of what, exactly, public servants face.